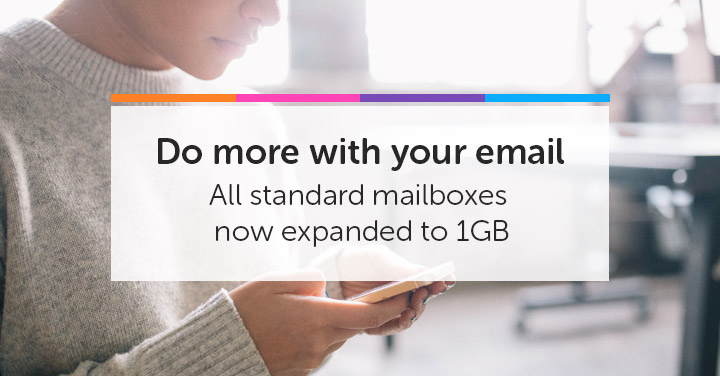 Great news for all our new and current customers, we have upgraded the mailbox size of all our standard email accounts from 400MB to 1GB from today. At Media City Way, we appreciate feedback from you, our customers, and use it as a guide to help us continue to meet all of your web hosting needs. You will not need to make any changes to your mailbox. The upgrade will happen automatically and will apply to both new and existing mailboxes.